If you count yourself among the thousands of people who declared “losing weight” as a New Year’s resolution, we’re here for you. With fried chicken and biscuits galore, Atlanta isn’t exactly the friendliest town for the health-conscious. 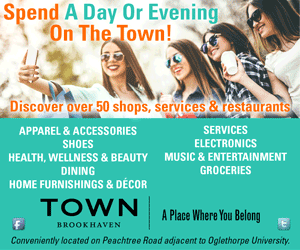 And while we think you’re perfect as you are, we also know that sometimes you need a break from deep-fried goodies, which is why we scouted out treats around town that won’t make you feel guilty. Here’s where to keep things on the lighter side in 2017. Kale Me Crazy’s smoothie bowl is packed with healthful, raw ingredients. 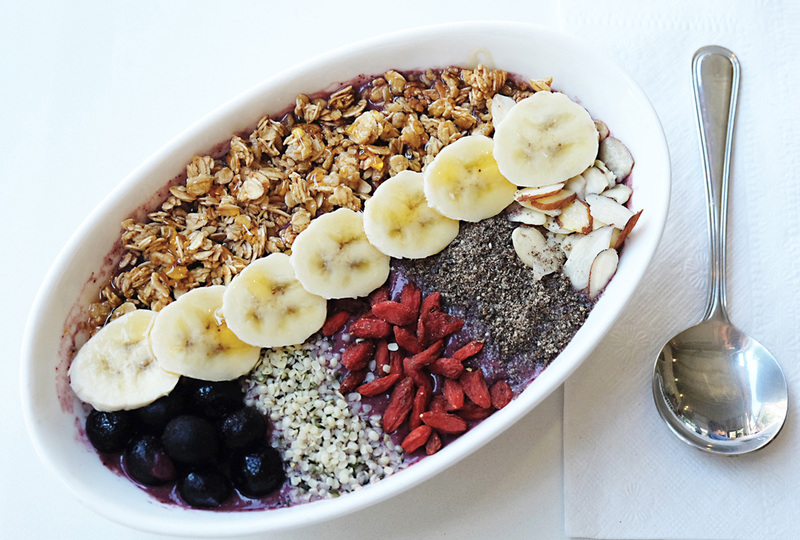 Rise and shine at Kale Me Crazy with an açai smoothie bowl ($8.50). It’s packed with fresh blueberries, cashews and dates, and is topped off with banana, coconut, granola and raw honey. Make it “deluxe” by adding goji berries, chia and hemp seeds. Krog Street Market might not be the most obvious place to find healthful treats, but Nature’s Garden Express (NGE) has got them. In addition to select produce and pantry items, the stall sells freshly blended smoothies and just-pressed juices. All of the smoothies are satisfying, but the GreenGo smoothie delivers an extra dose of nutrients. Made with kale, spinach, cucumber, pineapple, mango, kiwi and orange, it’ll have you feeling as strong as Popeye in no time ($7 for 16 ounces). If you’re looking to get in touch with your inner caveman or woman, Urban Pl8 specializes in all things paleo. Get your refined-carb-free diet fix from vibrant, fresh dishes such as paleo hash with veggies, sausage and eggs ($12). For a heartier meal, try the grilled chipotle hangar steak with roasted maple sweet potatoes and grilled asparagus ($15). Hampton + Hudson is a popular sports bar with ample televisions, a long list of beers and cocktails, and high-end pub food. Health food seekers are in luck, though. Keep things light with the charred octopus served over a bed of arugula, ginger, citrus and heart of palm ($13). Vegetarians can please their palates with the cauliflower steak with curried lentils, grilled mushrooms and carrot puree ($14).